Airglow Aviation Services is your source for air freight services with the flexibility to meet your changing needs. With our comprehensive range of time-definite, guaranteed and cost-saving options, Airglow can meet your air cargo and urgent freight requirements with reliability and professionalism. Our tracking systems and proactive approach to customer service provide you with timely updates about the status of your freight. These systems also provide Airglow customer service teams the tools to keep your shipment on schedule and to provide real-time communications with you, the customer. 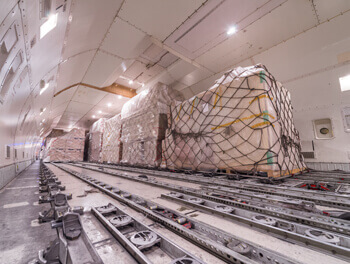 Our air freight experts are ready to help throughout the process of your shipment, from handling the initial quote with detail and diligence to tracking the shipping details from origin through to final destination, your single point of contact will make the entire experience efficient, professional and assist you in reaching your business objectives. When it comes to air cargo we hope you'll take the opportunity to experience our services and for the fastest shipping available. When working for an airline partner, we at Airglow truly view ourselves as part of the principal’s business. Whilst embracing your product portfolio and analysing your network, we deploy local market experts who know where business opportunities are and, most importantly, know how to close and secure sales. 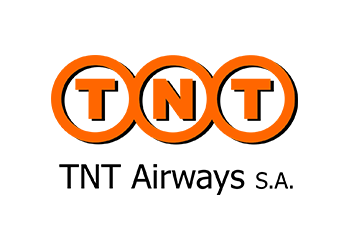 Everything we do is designed to maximise yield, payload utilisation and long-term revenue streams for you. At Airglow, we offer our airline partners a full complement of additional services that are adaptable to your requirements. From a full range of marketing activities, customer and operational services to accounting and finance support, Airglow really becomes an integrated partner with your organisation. Airglow Aviation Services is also registered as a virtual airline with IATA, with its own Air Waybill Stock. With the support of our GSA network and our overseas offices, we are able to promote sectors outside of U.A.E. to further generate loads, in order to maximise revenue for our principals. 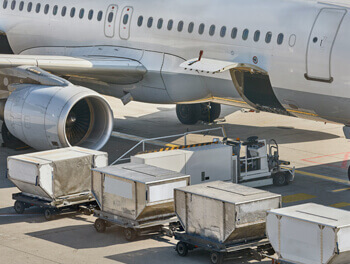 We can provide pre-flight advice on packaging requirements, customs and warehousing, and supervise aircraft loading and unloading. We can also coordinate arrangements for specialist equipment, including cranes and custom-built loading structures. Airglow Aviation Services FZC are the only authorized distributors of CCN Solutions in UAE and Qatar. We extend our services to the airports, ground handling companies and all aviation and cargo companies in that region. The Cargo Community Network Solution is an integrated platform service for streamlining the supply chain management of the cargo community. Due to this software, the customers have an added advantage as they have the access to cargo management, customs security compliance, documents management, business performance analytics and other value-added services in a click. Partnered with IATA, CCN has initiated in bringing the Freight and Air Way Bill in an electronic format which has made the tracking and communication effective and easier.